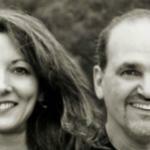 "Words and Music" (2006) is a unique collection of 13 Contemporary Christian songs, written by award winning songwriters, Laura & Eddie Cavazos. Featured performers are Tony Martinez, Paula Thompson Pollock and Richard "Quez" Vasquez. Produced by John Pollock.